I post 3 times a week on my blog (Monday,Wednesday & Friday), sometimes a Sunday. I work Monday to Friday 8.30am-5pm. 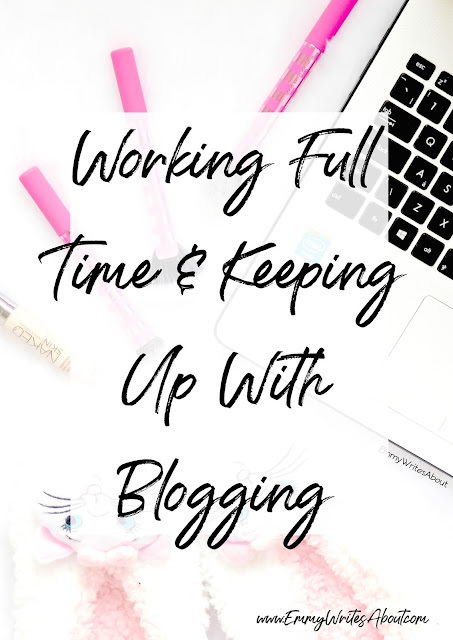 I don't want to spend all my weekend blogging nor do I want to spend every night during the week blogging. Working in admin and on the computer all day the last thing I want to do is to come home and be on my laptop all night every night. Monday - I don't go on my laptop at all. Tuesday - Schedule Tweets (1-3 days worth). Wednesday - I don't go on my laptop at all. Thursday - Maybe type one or two blog posts. Friday - I go to see my Personal Trainer straight from work 5.30pm-6.30pm. I usually have a blog reading session for an hour in the evening. Saturday - We usually go out shopping or off somewhere with the dog. Take blog photo's, I usually do this once every 3 weeks. Sunday - Broken links (I do this once every few weeks). Doesn't usually take long as long as you keep up with it often you will only have a couple each time. I try to keep Sunday afternoons and evenings chilled out with a pamper session but then I will schedule some tweets. That is my typical weekly routine. With my blog I currently have 3-4 weeks blog posts all done and scheduled in advance. I find by typing 3 posts a week I keep up with being ahead which takes so much stress away. I plan my posts ahead which makes it easier when I come to typing them. Tweets... I have a weeks worth of blog tweets scheduled in advance.This is a job I HATE doing but it is worthwhile. If you schedule them and use the Google URL Shortener, it shows you how many clicks each tweet has. I try not to schedule them all in one day as it becomes tedious and you will get fed up. Scheduling 2-3 days in one go is so much easier. I usually do a couple of blog post tweets and a couple social media tweets. 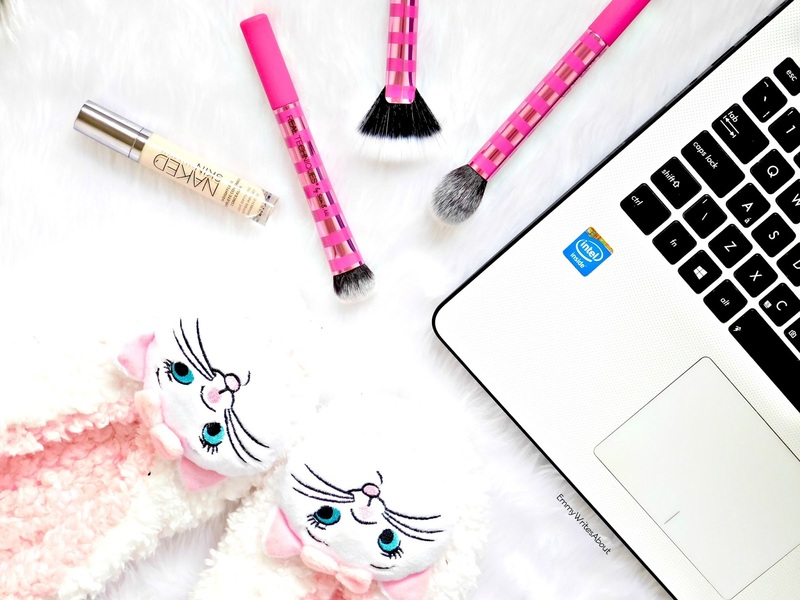 Blog Admin - Set yourself time once or twice a month on a weekend to go over blog admin. As I mentioned broken links is something important as it affects your DA Score. I have a blog post on How To Fix Broken Links. If you do broken links once-twice a month you should only end up with a couple each time which is super quick to sort out. If you have never done broken links before you may end up with quite alot but don't be scared as after the first go you won't have hardly any. Blog Photo's - I spend one Saturday afternoon around every 3 weeks taking blog photo's. I much prefer taking them in bulk as I find rushing around trying to take them for one post at a time becomes stressful. I make a list of the photo's I need and just do them in one go. It saves so much time and stress.